And you wouldn’t be wrong. 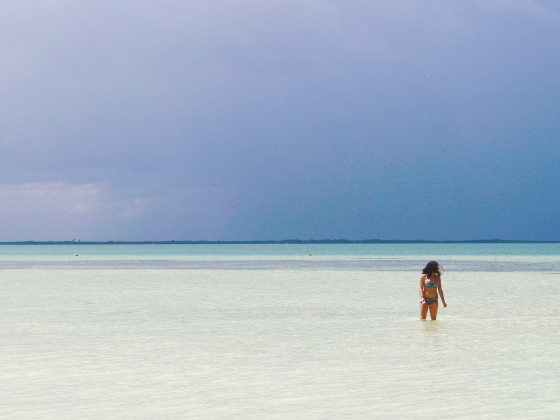 There are some glorious beaches all across SEA, exactly as you’d dreamed. To me, there’s nothing like baking lying in the gorgeous equatorial sun with palm leaves drifting lazily above you and the sounds of the ocean a few feet from your sunbed. I always try and make sure to schedule in some beach time whenever I visit that part of the globe. But a lot of the beaches that feature at the top of top-ten-beach lists and sun-sea-sand recommendations are now very well-trodden. 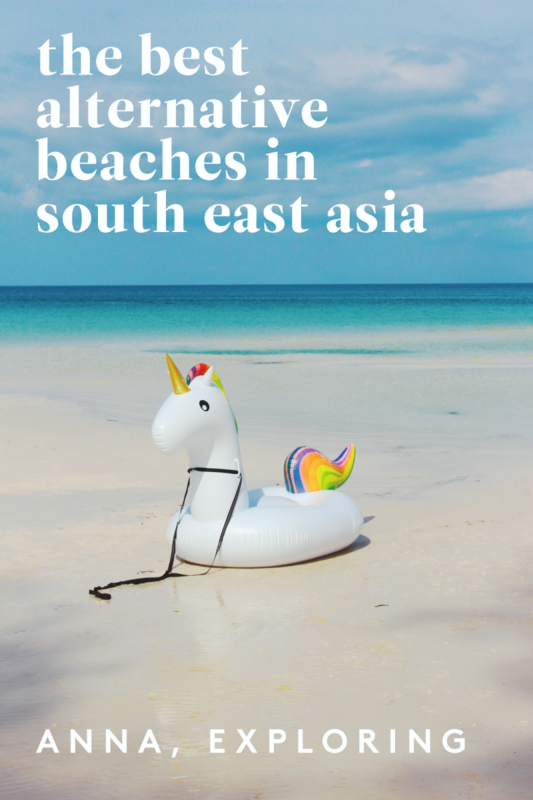 As is to be expected, as more people discover the glorious secrets of South East Asia, the most famous beaches become quite touristy and in some cases, lose their charm. But all is not lost! There are still some gorgeous options that are in my opinion likely better than their more famous relatives. Warning – gorgeous photos and a likely case of wanderlust ahead! 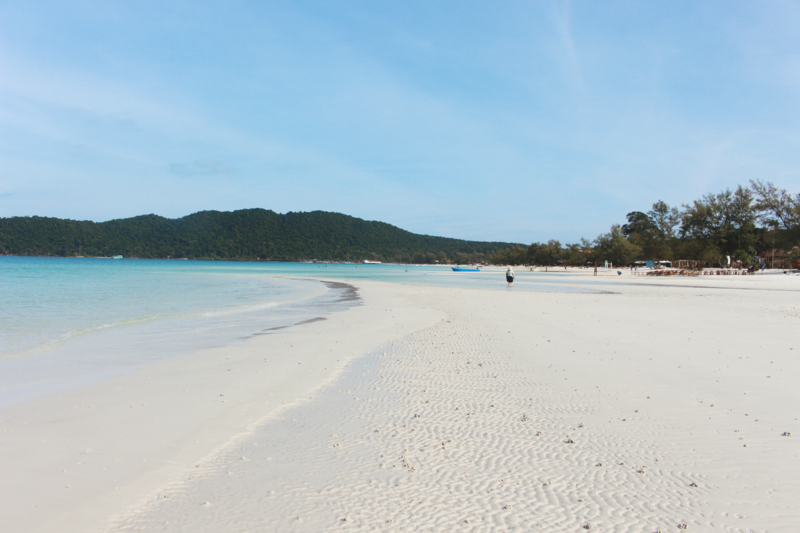 Koh Rong and Sihanoukville are the two most famous beaches in Cambodia. There are tons of blogs about the great party scene and atmosphere in those areas. Personally, I really disliked Sihanoukville. I spent a day there and it was dirty, crowded and the furthest thing from the peaceful beach paradise I was hoping for. 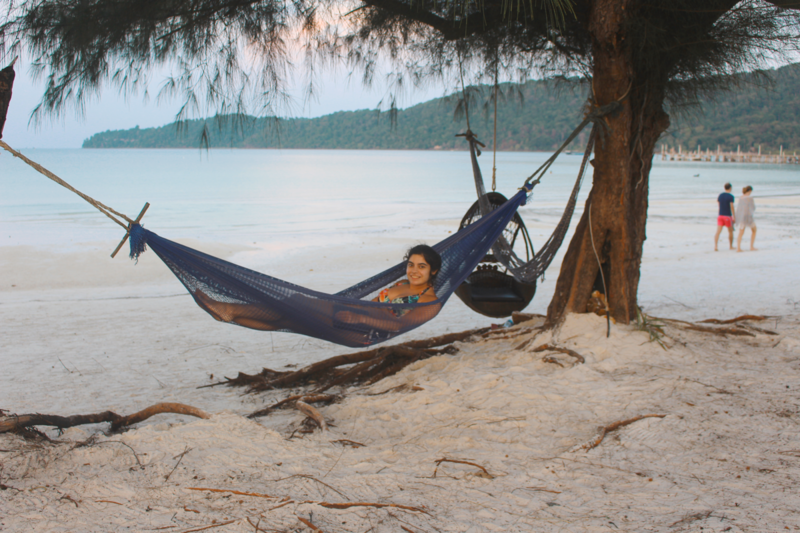 Instead of visiting Koh Rong, the more famous island paradise off the coast of Sihanoukville, we decided to go for the smaller and quieter Koh Rong Sanloem, staying right down the edge of Saracen Bay at Secret Paradise Resort. It was stunning – incredibly peaceful, beautiful food and only the quiet lapping waves to keep us company (other than shoals of shimmering silver fish!). The sand is pure white – I haven’t seen anything like it since. The contrast of the almost pure white against the turquoise sand just adds to a lazy, otherworldly atmosphere. Life truly is slower here – and the better for it. We were here for four days and it just wasn’t enough! 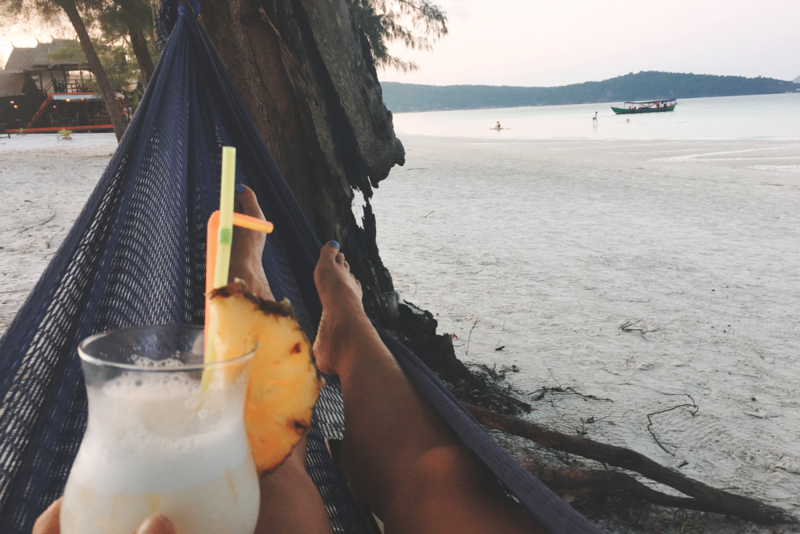 The pina coladas I had here inspired my lifelong love of the drink – and are still the best I’ve ever had! It’s hard to beat sipping on a gorgeous, fresh drink in your own comfy hammock, watching the sun set in a blaze of purples and oranges. Taking a twenty minute walk through the forest on the centre of the island leads you to Lazy Beach, a tiny strip of yellow-gold sand with tons of tropical fish underneath its jetty. It’s a lovely break if you want a change of scenery! 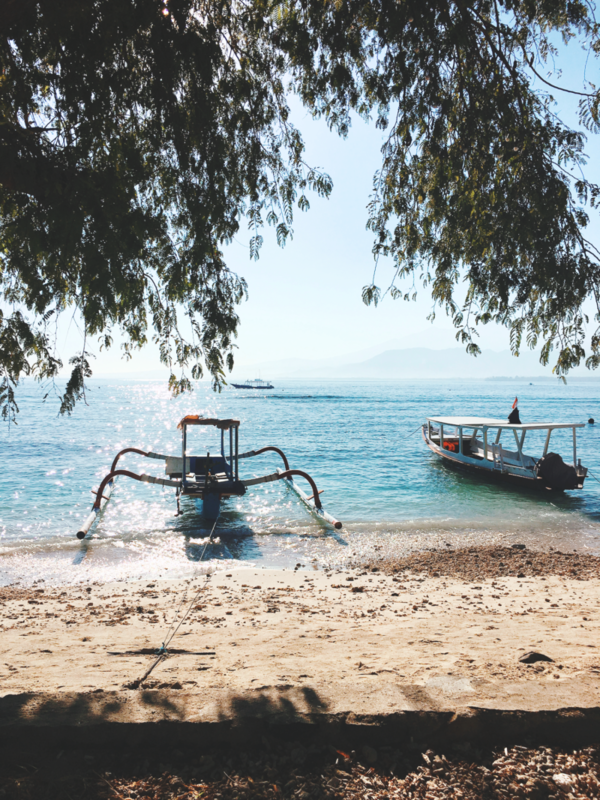 You can take day trips to visit nearby island villages, snorkel extensive coral reefs (not the best in Asia, as the visibility is poor, but still a lot of fun) and swim with phosphorescent plankton under the moonlight. You can actually see the plankton every night, just wading off the beach as the lights go down. It’s truly an insane experience – you’re actually bathing in starlight that trails behind your fingers as you move! 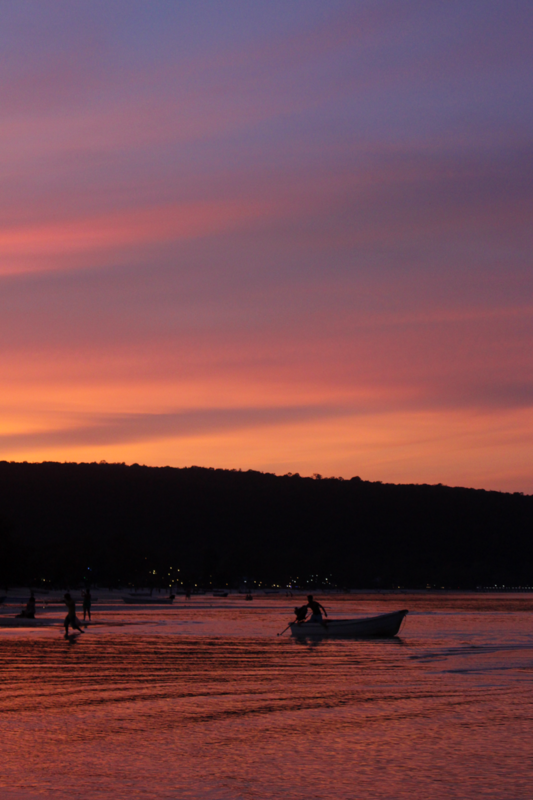 The sunsets I experienced here are hands-down the most beautiful I’ve ever seen. Finding photos for this section was hard, because I spent so much time just dozing or diving that I forgot to take any! 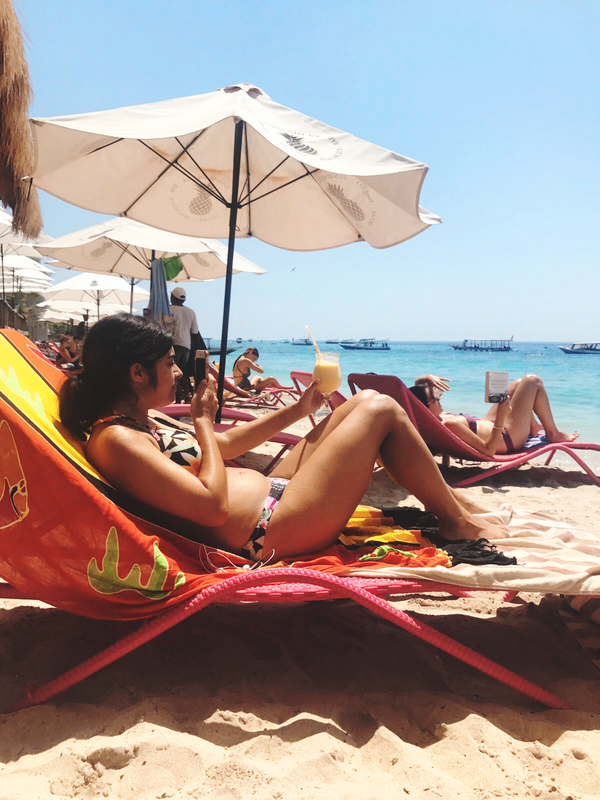 That’s because Gili Air was a peaceful and sleepy paradise – enough tasty food options to keep you constantly eating new dishes every evening, the best chocolate cake I’ve ever eaten and incredible mango coladas to sip on the beach. Horses and carts trot by, or people wend their way along sandy paths with bicycles. 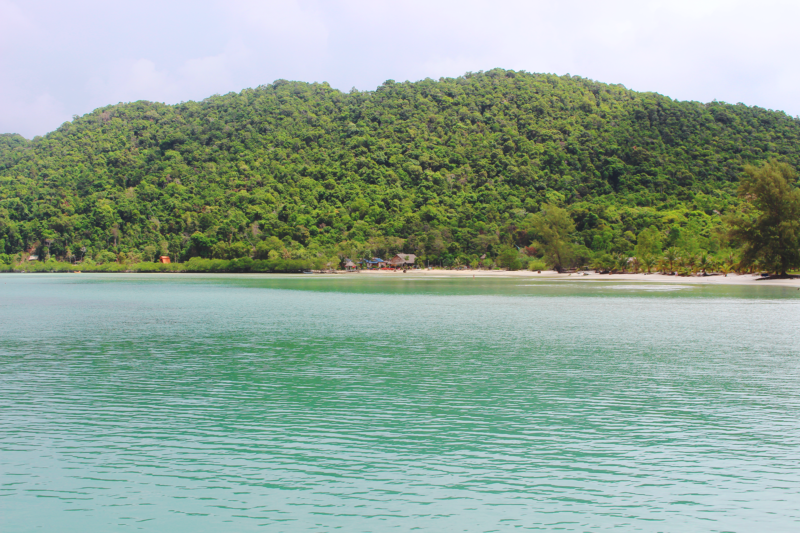 Compared to Koh Rong Sanloem – it’s a positive metropolis (especially near the port, where there’s a paved over square with shops), but if you venture up towards the top of the beach, things get a lot quieter and more peaceful. It’s easy to find your own strip of sand to chill out on – and apparently, turtles spend their time munching on seagrass just off the beach! I went diving, so my turtles were spotted under the water – I highly recommend Scallywags for diving. It was my first time diving after qualifying, so I was a bit nervous. My divemaster was very respectful and very kind, and I had a blast despite the visibility being poor that day. 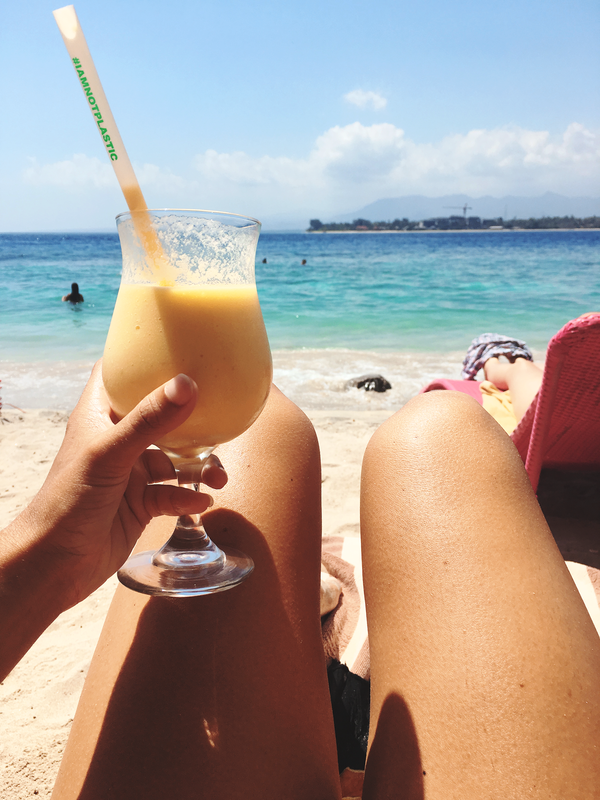 Delicious mango colada – and eco-friendly straw! 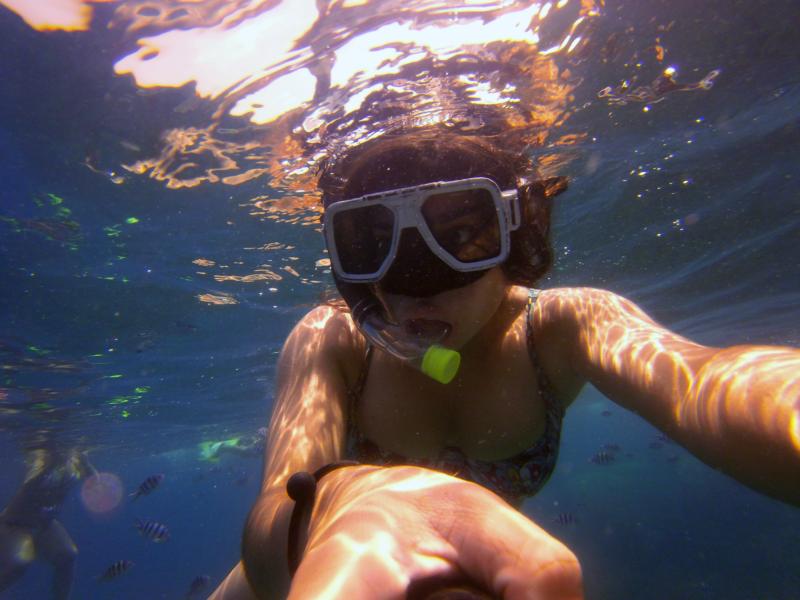 Whilst overall, Malaysia was a little underwhelming, I do feel like I’ve left a piece of my heart on Perhentian Kecil. It’s a teeny, tiny island off the Eastern coast of the Malaysian mainland. A small confession: I’ve not visited Langkawi. I’ve heard it’s paradise. 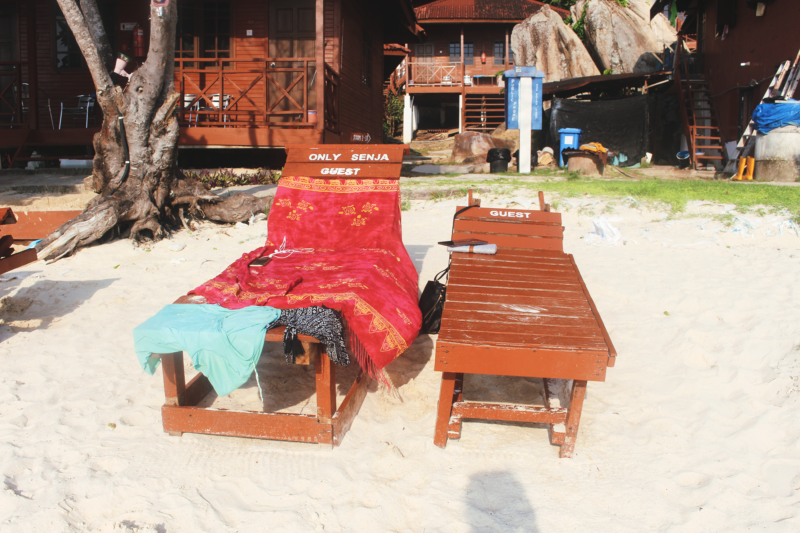 However – I also know it’s the island chain most recommended for beach time in Malaysia. 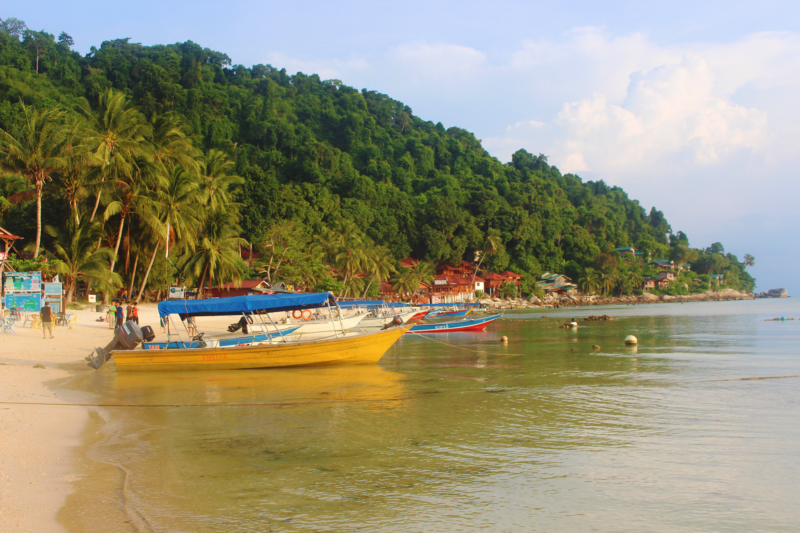 The Perhentians are stunning, peaceful and oh-so otherworldly. Everything slows down here. You won’t find five-star food, nor many luxury resorts, but you will find a tranquility and calm that I don’t think I’ve encountered since. 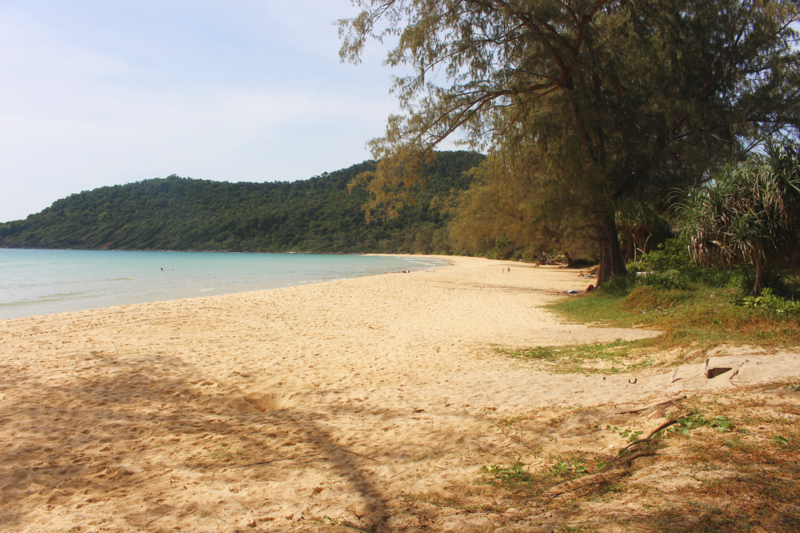 Most people stay on Long Beach, the long (what a surprise) strip of sand on the Western side of Perhentian Kecil. I stayed on Coral Bay, entirely by coincidence as it was the only part of the island that had a room left within my budget. And I am so glad that fate led me that way. I met some wonderful Canadian ladies on the boat over to the Perhentians (check out their fab photography studio if you’re Canada based!) who ended up staying on Long Beach. I went over to visit them, and while the strip of beach is much longer (shocker! ), that means it is a lot more built-up, there are far more people and it just feels less secluded. Coral Bay, on the other hand, is tiny. 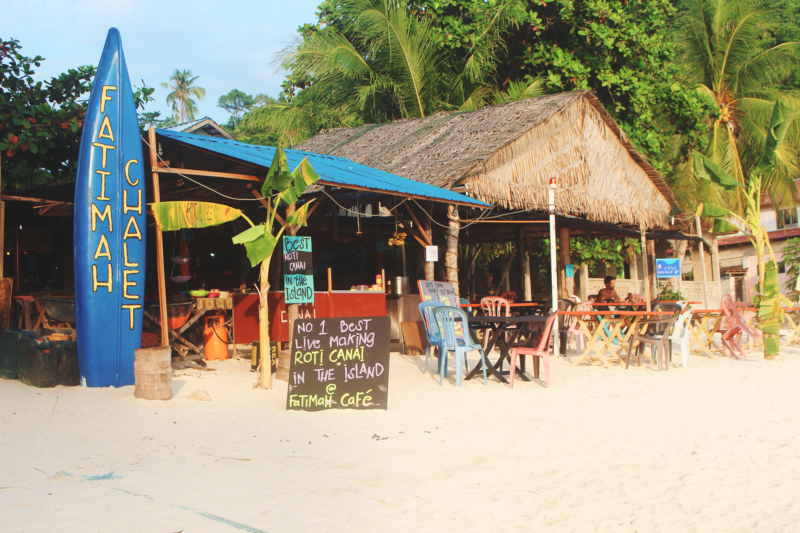 There are about six shack restaurants, with fun and friendly hand-painted signs and primary-coloured boats nestle right up on the sand every few metres. There’s a small coral reef right off the water near Senja Bay (where I stayed) with tropical fish and even the odd sting ray! You can take day- or morning-long boat trips to the most insane coral reefs for only a few ringitts which are a ton of fun (if a little oversubscribed). One thing I would recommend is avoiding turtle bay: yes, you’ll see a turtle, but it’s basically kept there for the entertainment of the tourists, and there are no safety measures in place to stop people messing with the poor creature. Stick to the coral reefs and hope to see a turtle organically while you’re swimming about in the sea! Apparently, the Perhentians aren’t as famed for their sunsets as parts of Cambodia (see exhibit A above) – but I was still treated to gorgeous vistas during my time there. 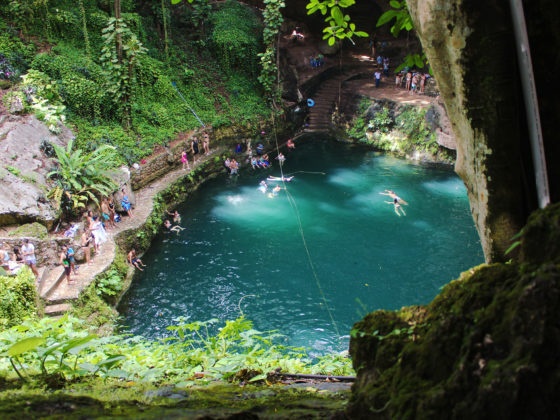 Be prepared to travel for a while to get to these places. 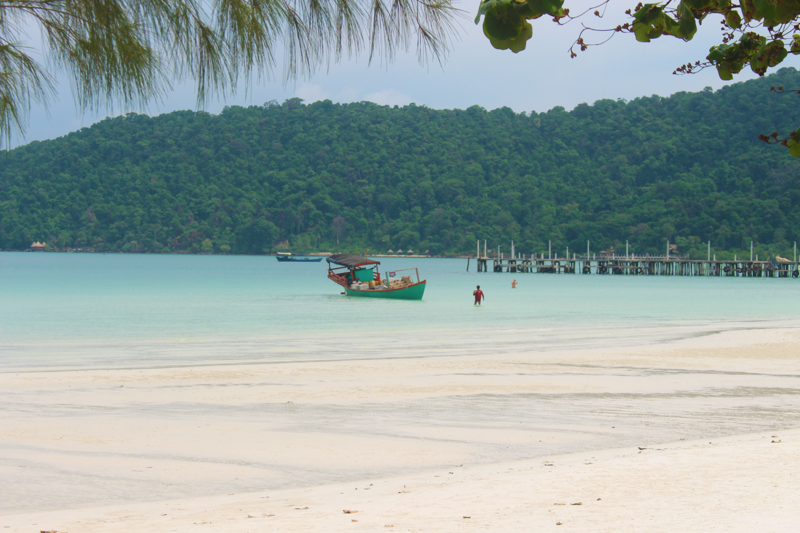 It took me 7 hours to reach the Perhentians, about 5 for Koh Rong Sanloem and about four (I think?) to the Gilis from Bali. The wait and effort is definitely worth it! 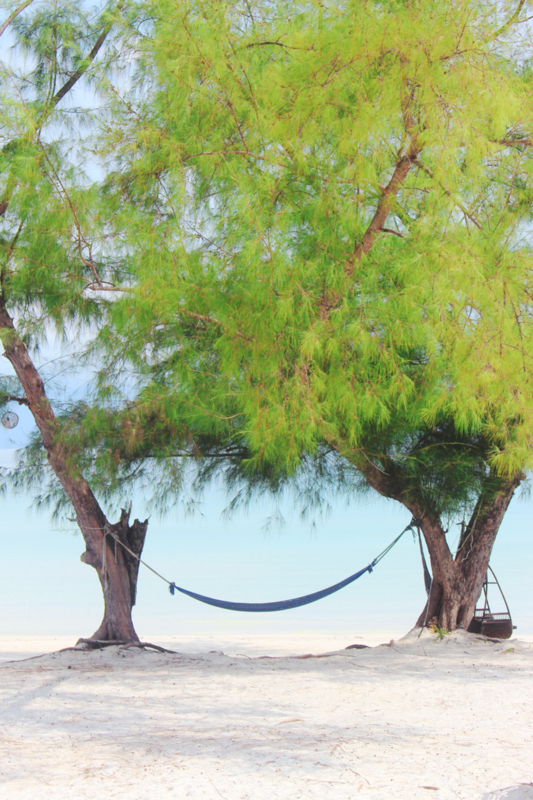 Where are your favourite ‘secret’ beaches? 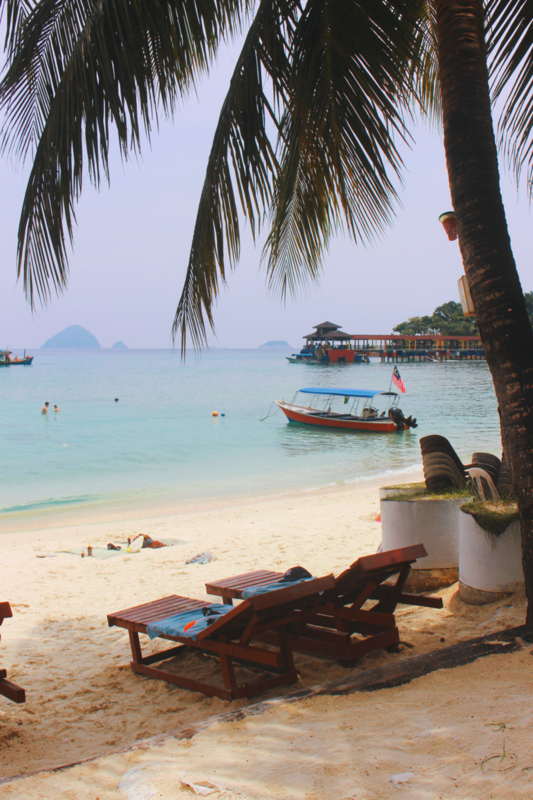 Have you visited a tropical island in South East Asia? Don’t forget to Pin the post for later! 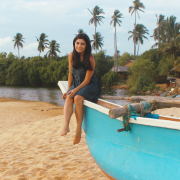 Anna Thairs is a twentysomething amateur backpacker, wannabe artist and full-time strategist. She's got a serious travel addiction and probably one too many cameras.